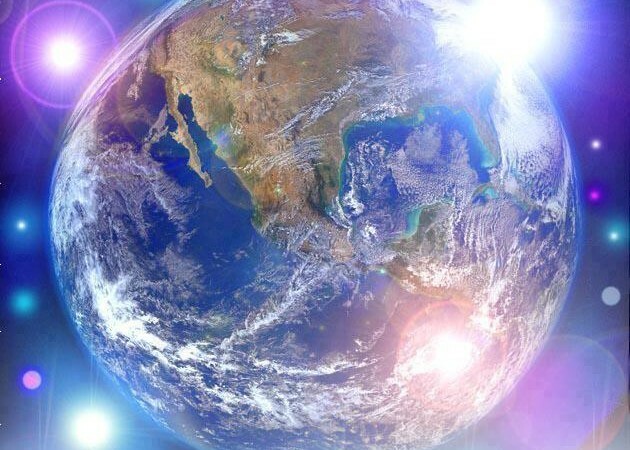 Many a time do we hear this from the light-workers through channelled messages and I have been through it myself in my earlier years before I refined the understanding and realized the world cannot be saved, nor needs to be. 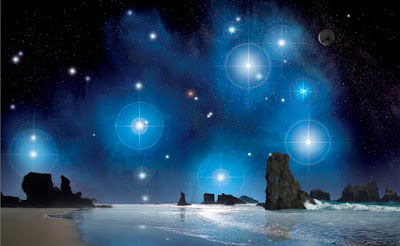 The idea is that with just one more alignment, , infusion of Divine Light, shift in consciousness, Galactic Federation of Light transmission (or similar) coupled with just one more push and the Earth and humanity will be happy ever after. This ‘pink and fluffy’ dream is just that. Meanwhile – the wars continue and the biosphere is in worse shape that ever before. After 20 or 30 years of light-workers being busy working to uplift the Earth – what is there to show for it on the outside? Surely there would have been enough ‘pushes’ by now to make some visible outer difference become manifest – yet no Golden New Age Utopia has shown any signs of manifesting and human suffering continues. People may feel good listening to the messages – but again, it is a dangerous addiction stunting real spiritual growth and again – discouraging self-responsibility, for it is easier to let others take the burden. Anyone stuck in this dynamic (whether feeding from it or fostering it – sooner or later will have a strong karmic awakening, a bursting of the emotional bubble and a big dose of disillusionment. There is no motivation to self-develop or to become personally empowered so as to do one’s own spiritual work – for after all, the light-workers are doing all the work! Thus there is only a recipe for emotional dependancy and an intense karmic energy vortex – where neither side are in a better position than the other – simply bacause of entrapment in the light-dark duality (and thus dualized consciousness bearing the hallmarks of continued separation and a yearning for Universal Love that seems forever out of reach). Related to the above – a common theme in the light-worker movement is that of wanting to heal humanity, ascend the world, dissolve all of the pain and suffering within humanity and to help the whole of humanity into a Golden New Age of Universal Love and Peace. A Saviour Complex is invariably driven by the need to feel loved and important (a quest for self-validation) and is thus rooted in early childhood (or past life) emotional trauma. When that is not addressed in a healthy manner, a strong desire to be loved in the outer can lead one to want to be a ‘would-be Saviour’. The faulty premise behind that dynamic is that if one can feel important and loved enough, any absence of love can be compensated for by helping other people (often at the expense of oneself). The end result is often emotional and energetic degradation – along with a heavy duty karmic entanglement in the lower emotions of humanity as a whole. This is because humanity as a whole cares little for light-workers and thus the orginal drive to be loved by humanity is unfulfilled. Sooner or later then – one learns to find love within, heals their own issues and develops healthier fulfilling loving relationships (and thus naturally gravitates out of the lightworker movement) or succumbs to vibratory degradation, victimhood, suffering, sickness and death by violating the Law of Non-Intervention (not getting involved in external karma). This is caused by an energetic transferance whereby lightworkers become energetically and karmically polluted by trying to heal karma that is not ready to be healed. Be a light-worker long enough and one’s body and being will be degraded long before the world is saved. The truth is that becoming wholesome is an inner process and not an outer one. Energy may be better spent working on oneself instead of trying to change the outer or interfering with the karma of the human race as a whole. Perhaps everything is as it needs to be. Points 1 and 2 have a deeper cause in over-identification and attachment to the emotions or what it felt like when one was at one with Source, comfortable in the womb or when one felt so much in love that outer reality was not-important. Such emotional attachment clouds judgement, prevents the deeper embodiment of wisdom and also keeps on in a false state of security (that can be shattered in the event of a global collapse situation). 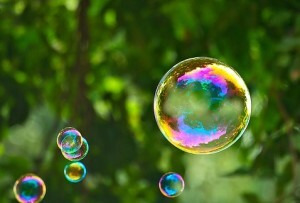 Like real bubbles – such dream bubbles can pop. It may be useful for beginners to the path to feel some emotional warmth and safety for a time in order to begin the spiritual work – but beware of lingering too long in an emotional illusory dreamy state – for a deeper spiritual awakening can only come by being grounded in reality. A dream or vision is useful to an extent – but unless that can become a grounded reality – it has little lasting value. It is necessary to cleanse, purify and refine the emotional body in order to gain deeper or higher understanding – which naturally calls for working with the energy of wisdom (which ultimately dissolves and transcends emotional dreamspheres or other illusory realities) and brings one closer to Truth. In the absence of emotional (and karmic) purification as outlined in 3 one cannot know Truth directly and thus any lightwoker version of truth is likely to be weak or distorted. This is reinforced by the absence (in general) of Truth and Integrity in the light-worker movement. An absence of a deeper grounding in integrity in favour of follower count is a recipe for disaster. This is perhaps the most dangerous illusion in the face of undeniable and self-evident collapse of the Earths biosphere. 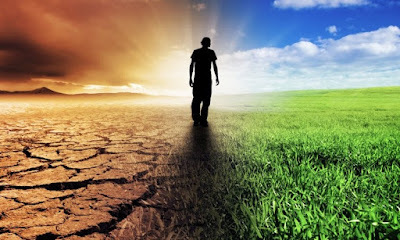 There is no way to reduce the population voluntarily in time, the climate systems are becoming unstable and human existence on this planet is becoming untenable. The illusion is that their will be no mass departures (despite the oceans and vast parts of the biosphere showing signs of terminal decline). Anyone attached to this illusion stands to experience a rude awakening in the event of a collapse simply because they will not be prepared and all the emotional bubbles will pop. In that event, it will become apparent that many have been misled, not told the truth or deceived in order to boost follower count. The end result is millions of spiritual seekers being left in a very challenging situation indeed and totally unprepared for the truth of collapse. By then, it may be too late to prepare. Of course, not everyone can handle that truth – and it may be better that some people remain unaware and in the dreamspheres. But any serious student or seeker of Truth would be well-advised to work with the matter of the collapse in order that it does not come whilst they are spiritually unprepared. The lightworkers will proclaim that one day soon we will all find ourselves in the Golden Age, free from all suffering, with the planet restored, the cabal and the elite out of power – and so on and so forth (without individuals having to have done the necessary inner work in themselves or against the free will of individual sentient beings who may have chosen other routes to purification). Again, those believing that everything will be alright this may find themselves in some very challenging spaces once the awareness of the truth of collapse becomes mainstream.